If you work in the healthcare industry, these are the 10 health IT conferences you won’t want to miss in 2017. From 3D printing to digital records, technology has changed the healthcare industry. If you want to keep up to date on the latest emerging trends in healthcare, there is no shortage of events that will keep you in the loop. Here are 10 health IT conferences you can't miss whether you're a doctor, nurse, health IT pro or C-Level executive. Part of the popular annual SXSW festival, the SX Health & MedTech Expo focuses on latest technologies in healthcare. Covering everything from startups to large corporations, this conference offers the latest innovations and emerging trends in healthcare. While this year's speakers haven't been announced yet, past years have included Bakul Patel, associate center director for digital health at the FDA, and Stanford and Harvard trained physician-scientist, inventor and entrepreneur, Daniel Kraft from Singularity University. The SX Health and MedTech Expo takes place during the SXSW festival between March 10 and 18 in Austin, Texas, and registration fees vary depending on what level badge you purchase. Affiliated with the popular TED conference, best-known for its Ted Talks, TedMed operates under a similar format with a focus on healthcare innovation. The conference promises to bridge "the gap between science and the public," through shared stories that help "inform, inspire, engage and provoke action." This year's TedMed conference takes place in Palm Springs, California, from November 1 to 3, and registration costs $3,450. However, if you register before January 15, you will receive $1,500 off the cost of the registration process. The iHealth Clinical Informatics Conference, held by the AMIA, is targeted at clinicians and informatics professionals, with a focus on innovations with health data and mobile health initiatives. The iHealth 2017 Clinical Informatics Conference takes place in Philadelphia, from May 2 to 4 at the Lowes Philadelphia Hotel. Registration is currently open, and starts at $430 for students, $745 for members and $1,120 for nonmembers; rates go up if you register after March 15. Targeted at health IT professionals, executives, vendors and clinicians, the HIMSS17 conference promises to offer educational programs, keynote speakers, thought leader discussions, workshops and networking opportunities. This year's keynote speakers include Ginni M. Rometty, chairman, president and CEO of IBM as well as former speaker, John Boehner. The 2017 HIMSS Annual Conference and Exhibition takes place in Orlando, Florida, in the Orange County Convention Center February 19-23. Health 2.0 conferences, areaimed at everyone from digital innovators to nurses to CIOs. These conferences focus on innovation, networking, emerging trends and you'll find no shortage of impressive keynote speakers at any event. You can find conferences in San Francisco and Santa Clara, California; Barcelona, Spain and Hyderabad, India. Dates and registration fees vary depending on the conference you choose. 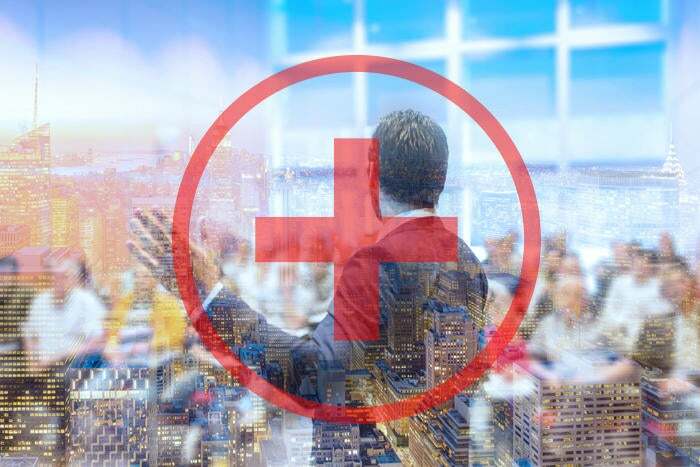 Unlike other annual conferences, you don't have to worry if you can't make one Health 2.0 event, because it's likely there is another just around the corner. Formerly the mHealth Summit, the Connected Health Conference heavily focuses on the digital aspect of healthcare and facilitating healthcare access around the globe. While the 2017 conference hasn't been announced just yet, last year's conference included the chief health officer at IBM, Kyu Rhee, and the vice president of digital health at Fitbit, Adam Pellegrini. This year's Connected Health Conference doesn't have a date yet, but the last conference took place during December in Washington, D.C. The cost of registration will vary depending on how many sessions you choose to go to, how early you register and how many ad-on sessions you opt for. The Health IT Summit consists of multiple events held throughout the year in 11 states. With events from San Diego to Boston, it's likely there will be one relatively convenient to where you live. Each event consists of keynote speakers, thought leaders, networking and open discussions on the latest trends in healthcare technology. The next three events in San Diego from January 24 to 25; Cleveland from March 23 to 24 and San Jose from April 13 to 14. Registration fees for government workers or educators start at $995, while the fees for vendors and consultants start at $1,995. Data is playing a huge part in healthcare IT, and the Health Datapalooza conference is aimed at C-suite leaders in business and government dealing with the changes that data has brought. The conference hopes to start a discussion on privacy, data usage and how to leverage healthcare information to improve systems. The conference takes place in Washington, D.C., at the Washington Hilton this April 27 to 28. Registration is currently open and rates vary depending on your industry, title and how many days you want to attend. But if you register before February 24, you can save $200 on the fee. This conference is exclusively for C-Level executives working in the home-healthcare industry. The conference promises to bring these leaders together to "combat the strategic challenges" that senior management can face in the home-healthcare industry. One major focus of this conference includes the growing amount of technology in the home health industry, and the implications around these digital advancements. The Home Healthcare Leader's Summit takes place in Los Angeles, CA but the date and registration are currently TBA. The MedX conference takes place on Stanford University's campus each year, focusing on the newest and best technology impacting healthcare. On it's website, Stanford calls the event a "medical education conference designed for everyone," combining "people, technology and design." This year will only the second annual event, taking place on the Stanford University campus from April 22 to 23. Registration isn't open yet, but you can subscribe to receive updates as the date gets closer.